Hi, friends! 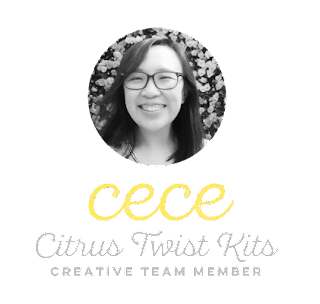 Cece (@candiescorner) here sharing with you how this page came together using the Citrus Twist Kits July GraceBox. This is my first post and I'm very excited to be here and to be part of this community. First off, I started with putting down some acrylic paint by swiping them from left to right with a baby wipe. This technique is super easy and fun. I used the Dina Wakely (that came in the kit) and Illustrated Faith Pebeo (#23) acrylic paints because they matched the kit nicely. 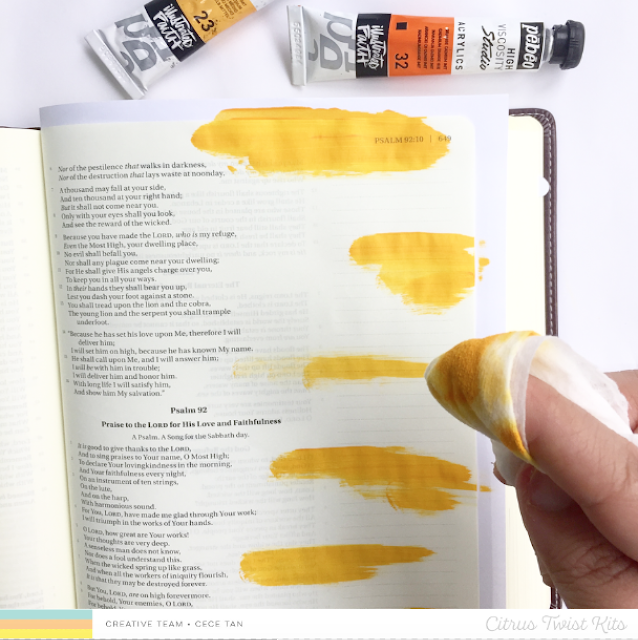 I put a small amount of paint on the baby wipe and swiped down paints in different areas on the margin of my Bible. It's like finger painting except you use a baby wipe. Next, I wanted to put down the words, "gather together and give thanks," so I used a combination of stickers from the All People All Nations and Auburn Lane Pink Paislee sticker sheets that came in the kit, and some alpha stickers that I already had in my stash to spell out the word GIVE. 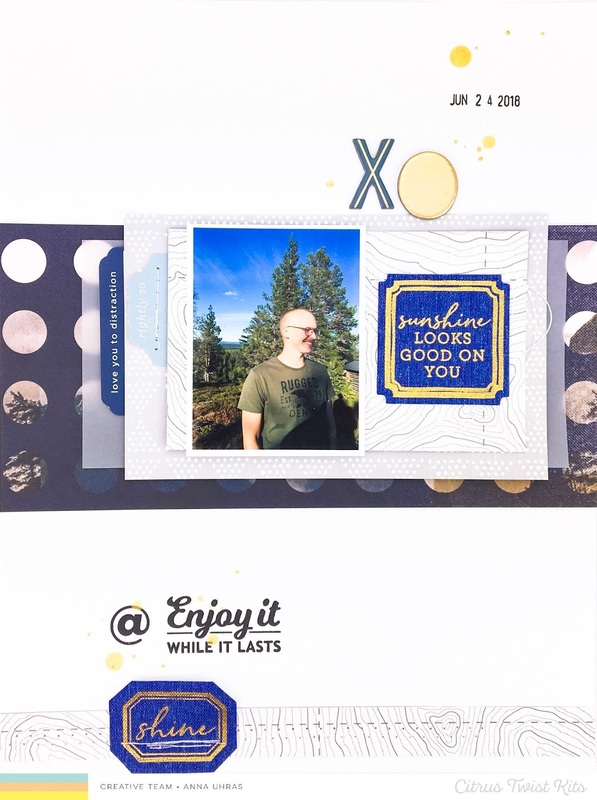 Then at the bottom of the page, I used the phrases from the stamp set and stamped down the ones I thought went well with this page. If I had more space, I would've stamped them all down. I also put down some enamel circles that came in the kit to fill in some of the blank spaces then stamped down the cross stamp using some VersaFine onyx black ink, making sure to stamp it on some scrap paper first before stamping it down on my Bible to minimize the bleed through. Then I drew out some lines to write down a prayer. I hope you enjoyed today's creative process! 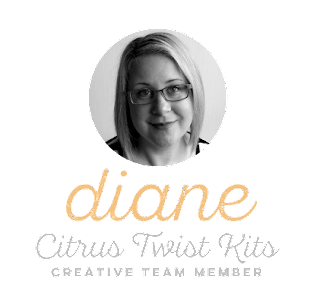 I would love to see how you use this kit. Have a great rest of the week and may God bless you and keep you! I have been busy catching up on my 2017 Project Life. 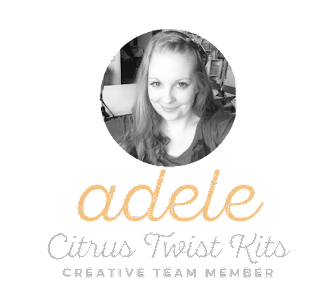 I find working with the rad Citrus Twist PL Kits really handy when wanting to binge scrap and get caught up on a large chunk of scrapping, because everything I need is packaged and coordinated all together in one easy kit. 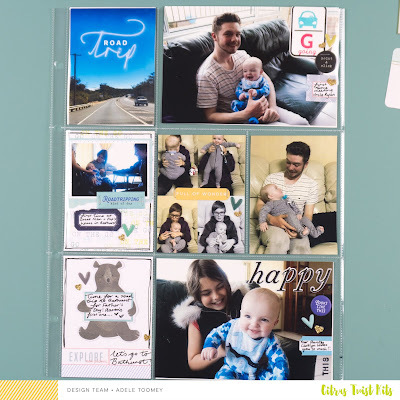 I used a combination of 4x6", 3x4" and smaller photos on this spread. I find using a variety of photo sizes makes my page more interesting and fun to embellish. 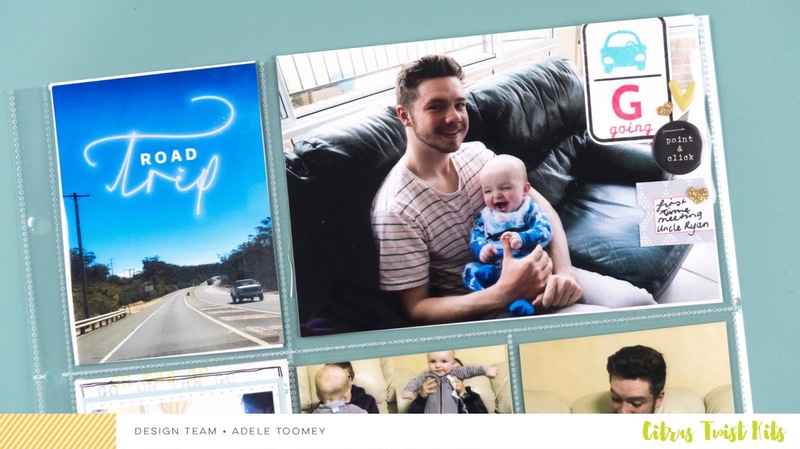 I used a lot of small labels on this page to add snippets of journaling about our road trip away to visit family. 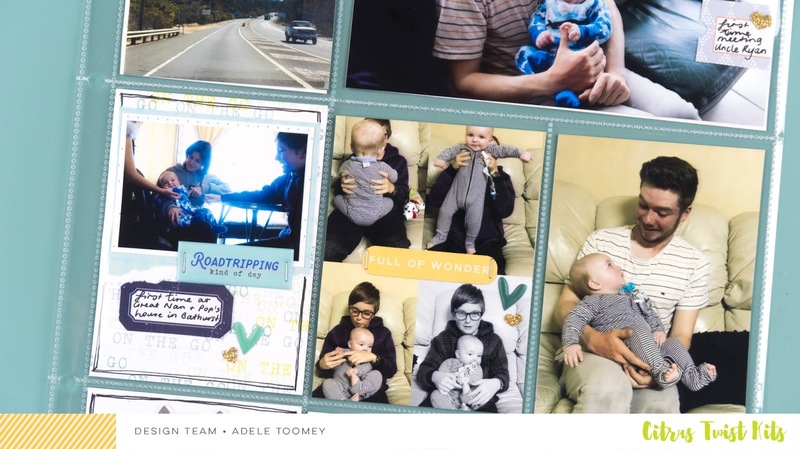 These photos are very important to my 2017 album as a lot of these contain photos of Archie meeting his Uncle, Great Aunt/cousins, and Great Grandparents for the very first time. I've really enjoyed using this months PL kit to document this whole trip across several pages. By using the one kit and coordinating supplies, it makes the whole weekend away look more cohesive and flow in my album. 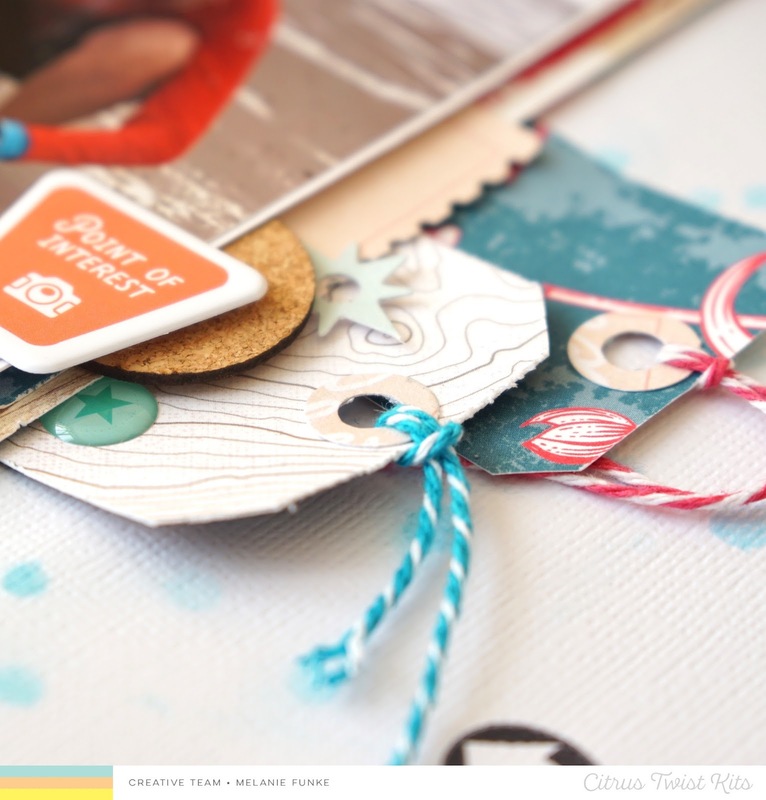 Grab your scrappy supplies and scrap along with me in my latest process video of this page! Hello crafty friends, Melanie here today bringing you this week's Sunday Sketch. 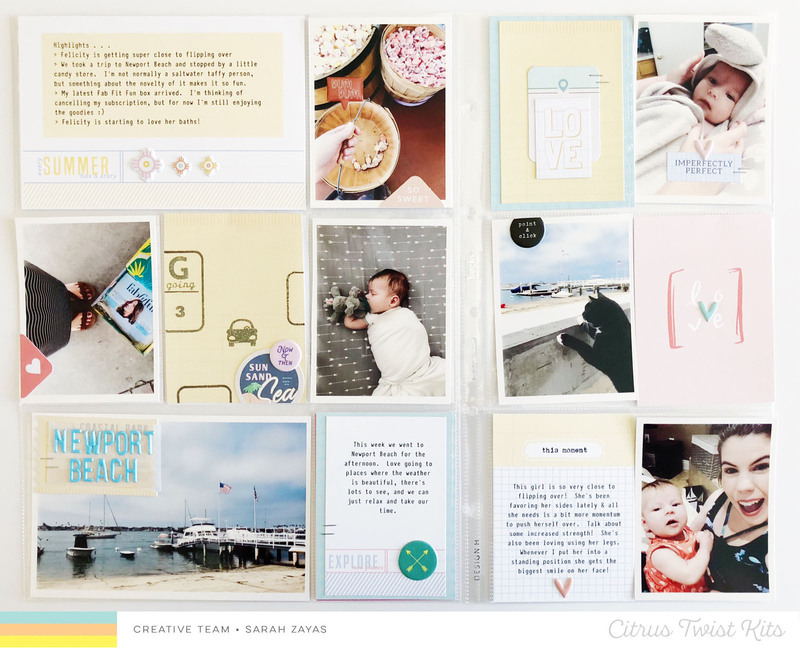 It's a fun one and I have a layout and a TN Spread for you today. But first let's have a look at the sketch. For the layout I mainly used the Skyland Pocket Life Kit but also papers from the Skyland Scrapbook and the Pattern Paper Play Kit. Instead of two landscape photos I used one vertical picture of myself 'hubby' took during our latest getaway while I was setting up the camera to take a picture of the two of us. Other than that I pretty much stuck to the sketch. 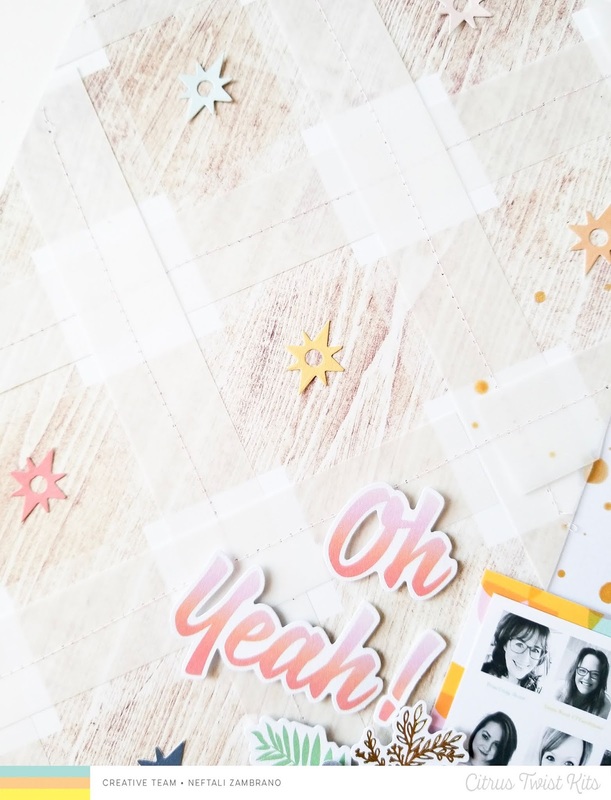 I used a stencil to add some splatters on the bottom of my layout and then started by matting my photo on coordinating papers. After that I added the base layers with patterned papers and put my photo on top by using some craft foam to add more dimension. 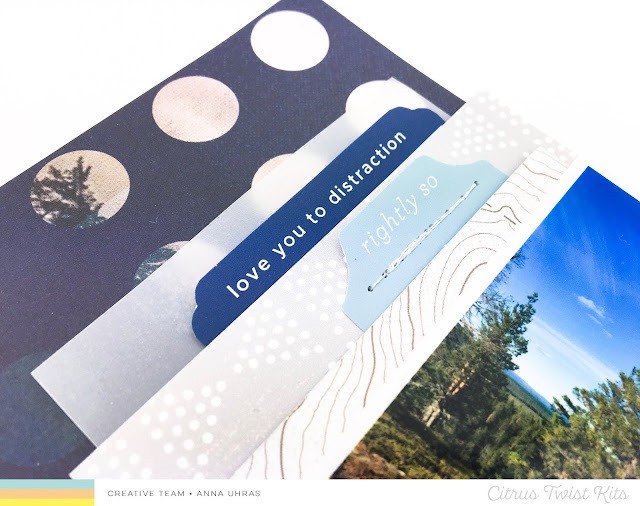 The red exclusive paper of the Kit is so pretty and I also used some blue tones. For more layering I tucked some of the embellishments beneath my photo and made some tags of patterned paper. 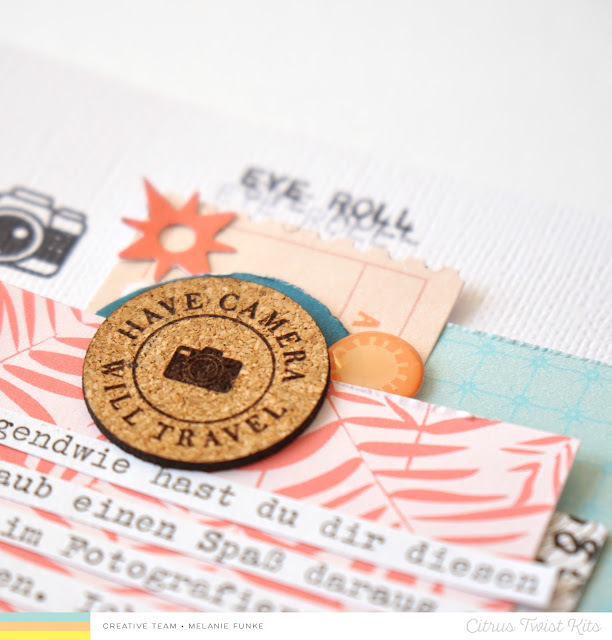 The cork circles give a nice texture on the layout, I always love using them. For more texture I ruffled up the edges of the papers. After that I worked on my embellishment cluster on the bottom right and added my title by placing the 'Oh yeah !' 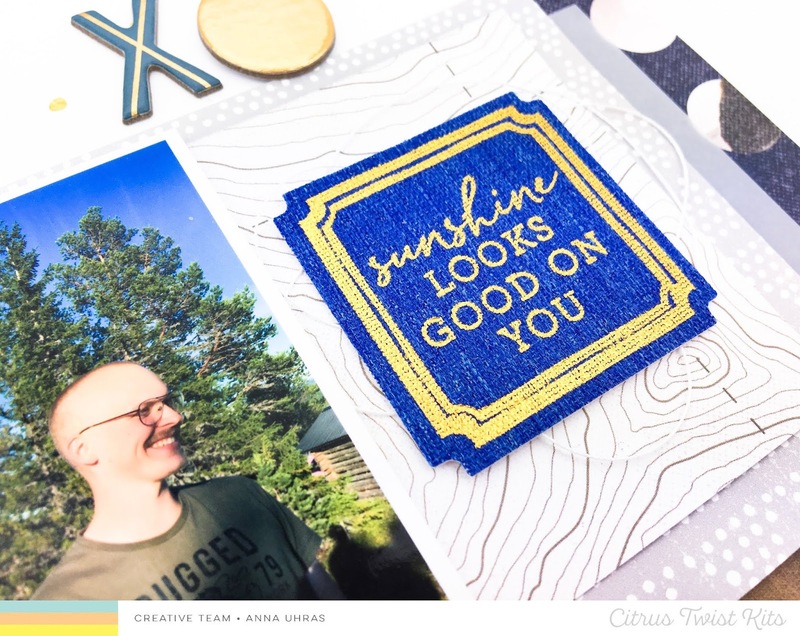 above my embellishment cluster and nestling in the 'SO ME' by using the gorgeous puffy stickers, they are my favorite alphas! I placed the journaling above of my photo and to add more contrast I stamped the cute camera from the Daily Routine Stamp directly on my page with black ink. For the TN spread I rotated the sketch and used two small landscape photos we took on a recent bike trip. 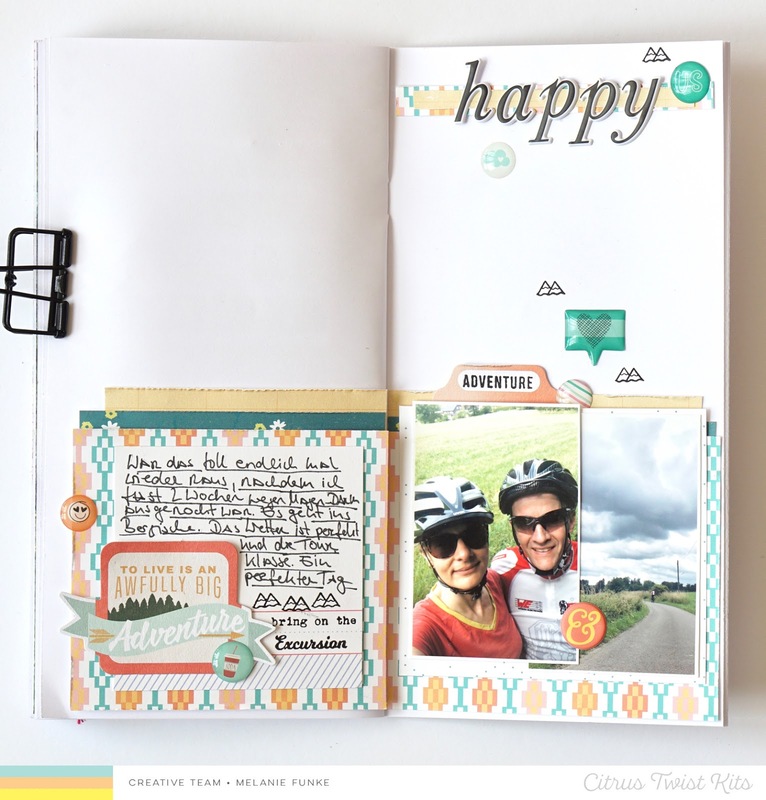 I used the Skyland Pocket Life Kit and layered some of the papers on both sides of the TN spread, placed my photos on the right hand side and a journaling card on the left. 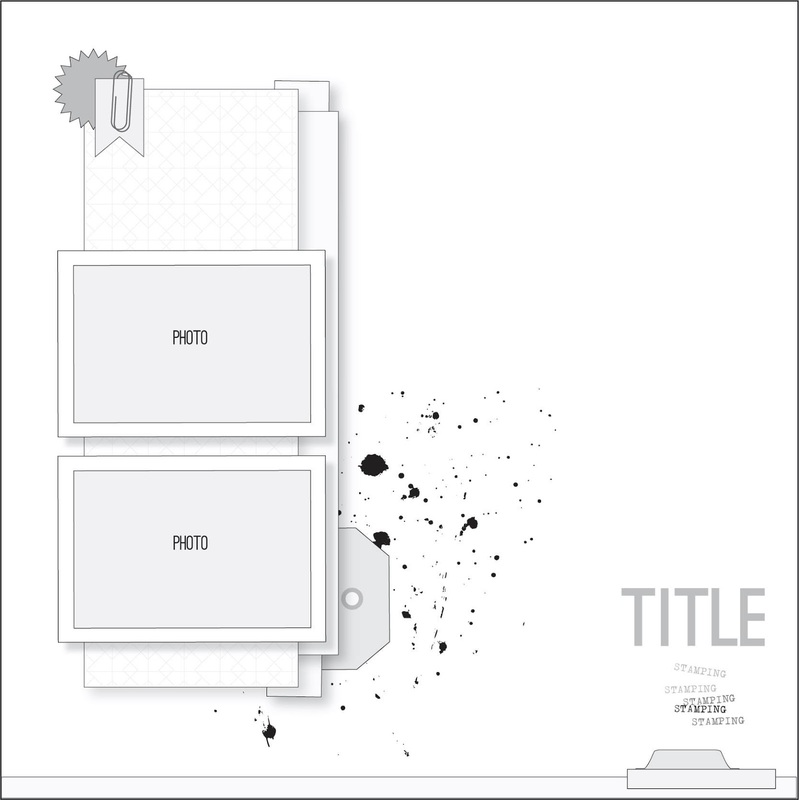 My title went on the very top of the right page. I finished off by adding some of the lovely epoxy stickers and a little bit of stamping. Now it's your turn! 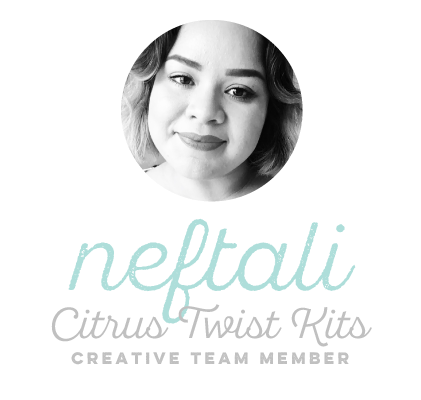 I can't wait to see what you're all making, be sure to share your projects on Instagram and our Facebook Group and tag us so we can see your work. 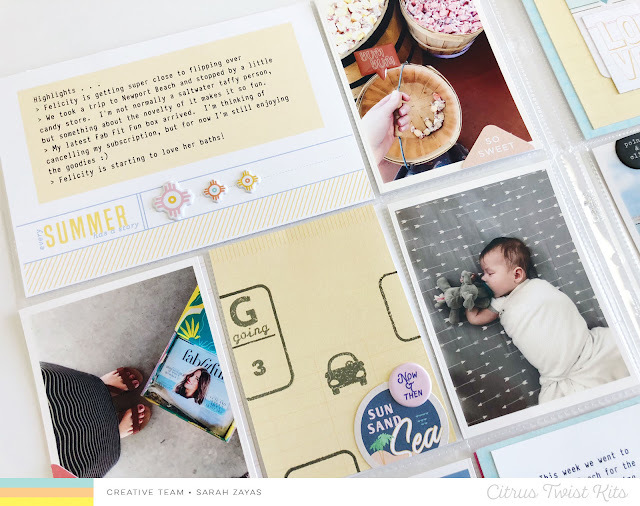 I am mildly obsessed with vellum, and would be giddy if we received a sheet in the kits every month (hint, hint Trina), So it wasn't hard to figure out a way to use it on my page. I decided to tuck my journaling into a vellum pocket. I created a vellum pocket using the vellum, my scoreboard and my sewing machine to adhere it all together. 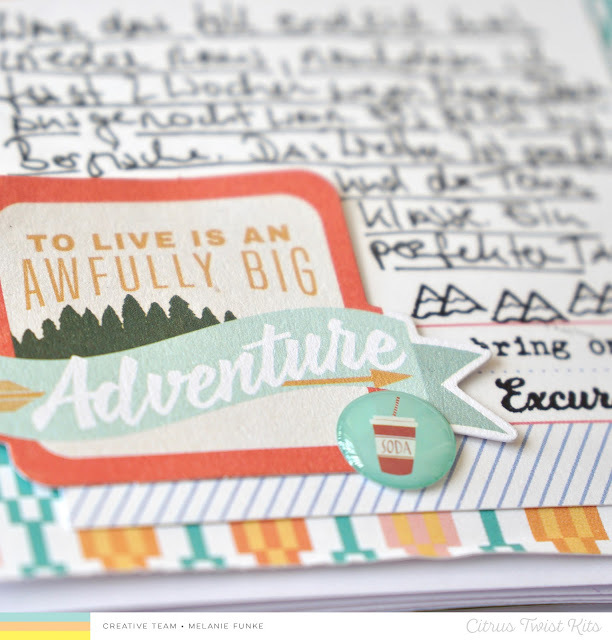 One of the journaling cards from the pocket life kit fits perfectly inside and I love how the vellum softens the black and white of the card. Stamping is another element I absolutely love adding on a page. 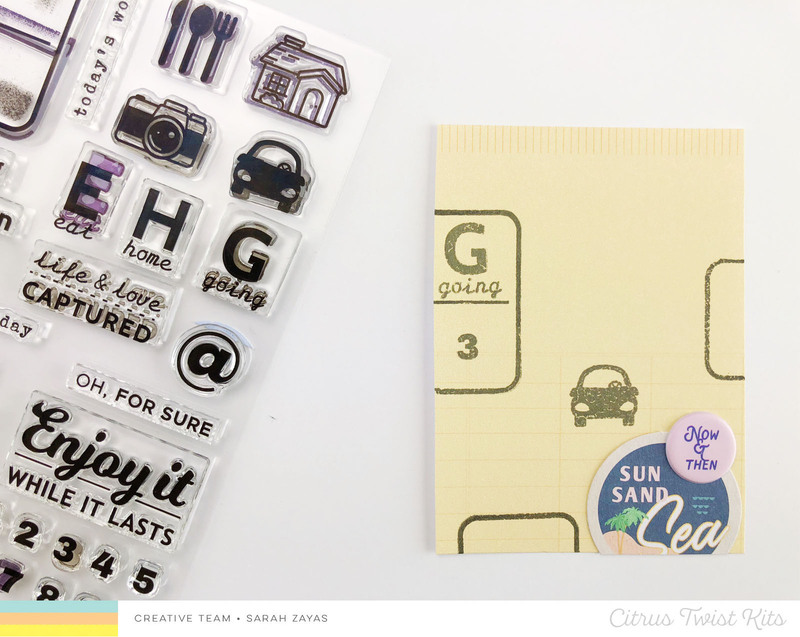 Have you seen the Conversation Starters stamp set yet?! 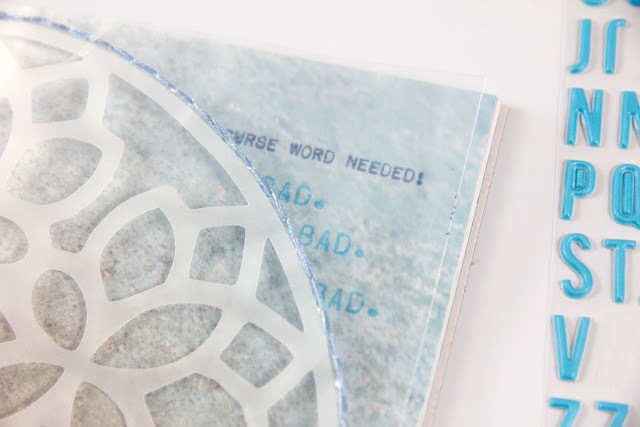 I could use these stamps on every page from now until the end of eternity (and you will likely see me do just that!). I thought it would be cute to add some stamping along the stripes of my background paper. I used the phrase "this is what I love most" because it perfectly summed up how I felt about my youngest son obsessively eating Doritos while being stalked by seagulls on our recent beach trip. Lol. Now prompt #3...oh boy. I tried really hard to make the fabric stickers work for my page. (And you'll see later how perfectly Anna was able to make them work on hers!) But I made the mistake of going too light and bright on my page and then the fabric stickers felt oddly out of place. So I altered them! 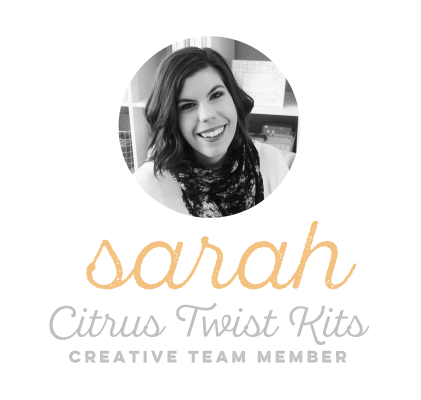 This is such an easy way to make products work for you! I experimented with quite a few of the stickers and found that a light coat of white gesso will still let the words show through, if you like that look. 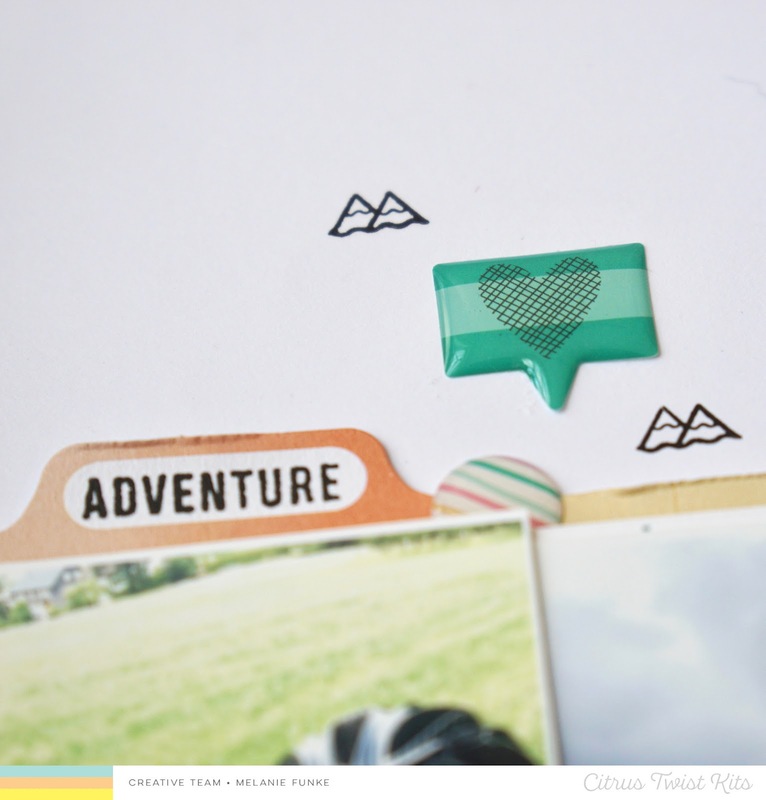 You can add other elements like stamping or ink on top of the gesso for yet another look. And stitching over top of the fabric stickers is super easy, because they're fabric! I used white gesso on mine and added a little stitching over the top! 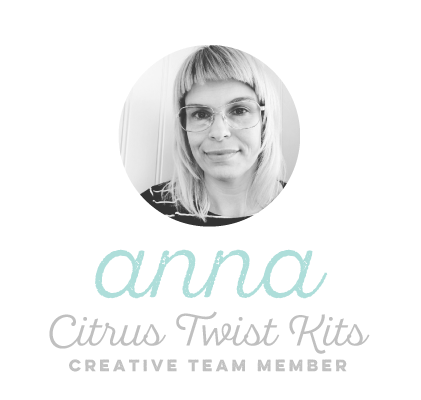 Now let's see how Anna used the prompts this week! Hi dear CTK friends! Anna here in company with my super talented scrappy friend Kira (Don't you just love Kira's page? It's beyond wonderful) bringing you this week's 3 to Inspire promts. 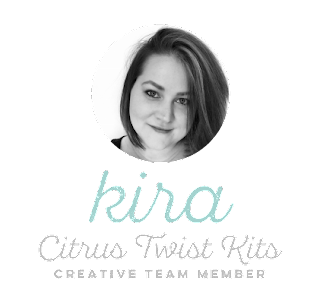 And as Kira said this month's kits are (as always) jam packed with goodies so it was a challenge to narrow it down to three promts. And I succeded to incorporate some vellum (in my layers) some stamping and even the fabric stickers, check! 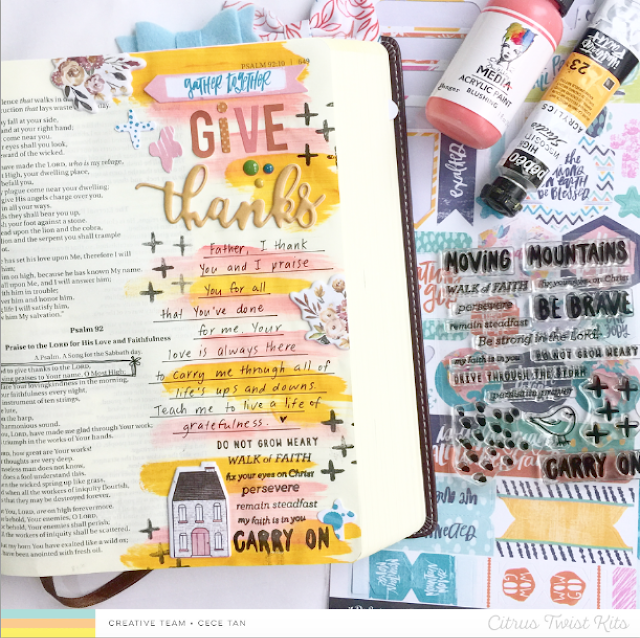 For this layout I've used the July Skyland Scrapbook kit the Pocket Life kit and the This is Life "Daily Routine" stamps as well. And there you have it! Both Kira and I made it through, using all three promps (and a few more pieces, lol), YAY! Hi, friends! Sarah here today with a fun Pocket Life challenge that will hopefully help you get more use out of the fun embellishments in your kit! 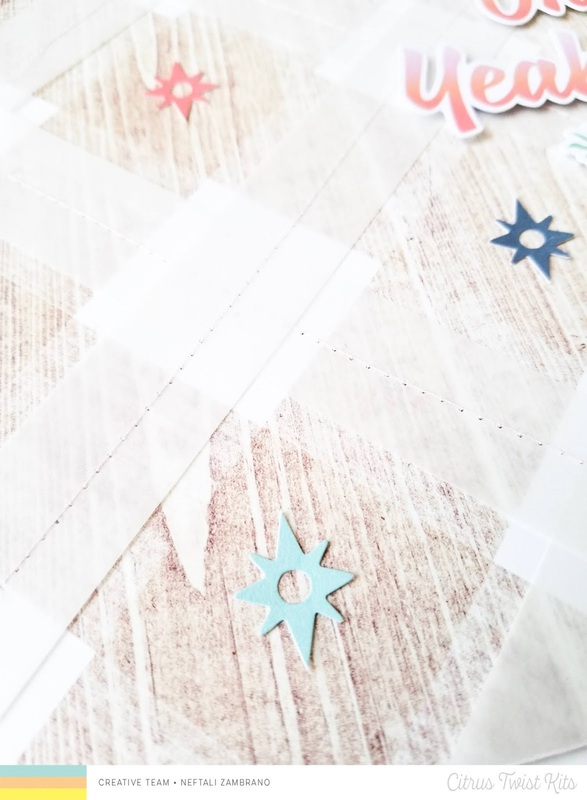 My challenge for you today is to use your stamps and/or embellishments to decorate your own filler cards! 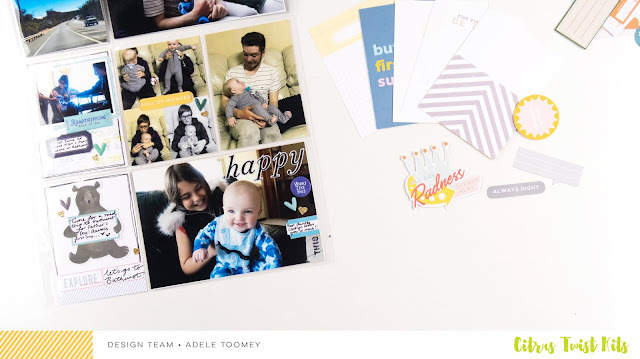 One of my favorite ways to customize my Pocket Life pages from week to week is to play around with making my own filler cards. I absolutely love getting my stamps and embellishments out to see what kinds of cards I can create from scratch. Each one is like a mini layout! 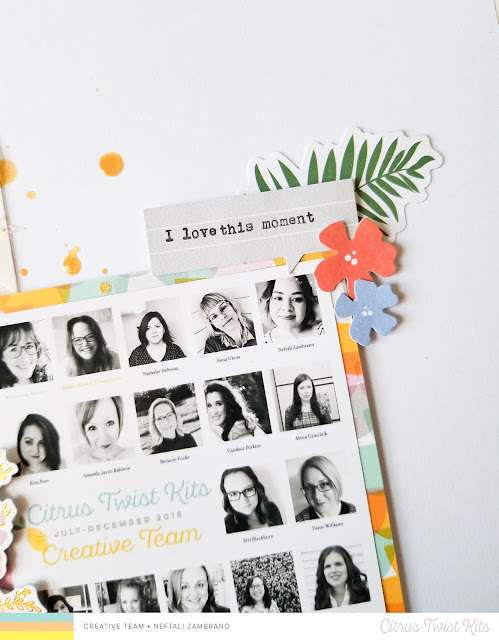 You can play around with making little clusters of embellishments or just keep things really simple with a single stamped image. The possibilities here are endless! I absolutely adored the FREE (can you believe it?!) Mandala cut file in the shop this month and I knew I wanted to use it in my Pocket Page Notebook. It looked kind of like a snowflake to me, so I knew it would work perfectly with these chilly Winter photos I've been taking. I used my Silhouette and cut the file from Vellum. Only half would fit into my pocket, so I trimmed it in half and kept the other half for another day. To keep the mandala in place, I stitched around the outside of it with a coordinating thread from my stash. I love the extra texture it gives the spread. 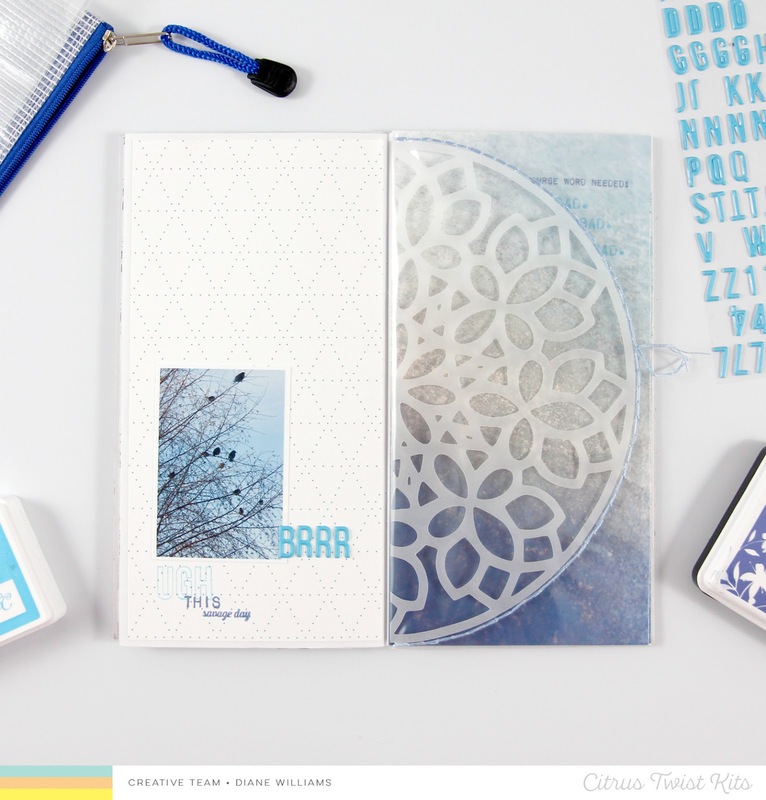 The stamps from this month's Pocket Life kit couldn't have been more perfect for this very cold day, so I stamped both on the patterned paper on the left, and on my full-page photo on the right, using colours that coordinate with my photo. Once I added a tiny title from those gorgeous blue puffy alphas, my spread was finished. I love the translucent look of cutting files from vellum, it adds such depth to my TN spreads. 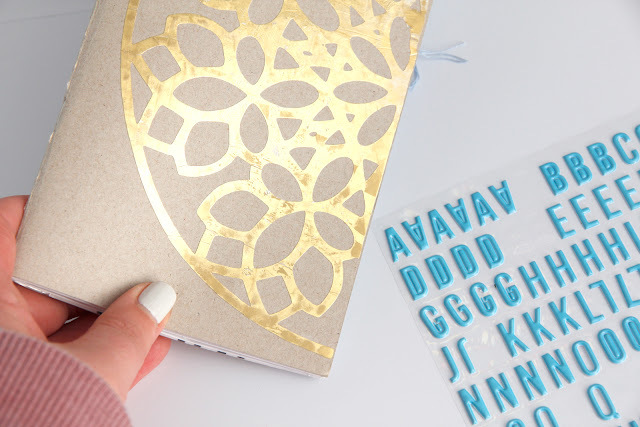 I loved this cut file SO much, I cut it again from gold vinyl and added it to the front of my notebook for something a bit special! Welcome back CTK fans! 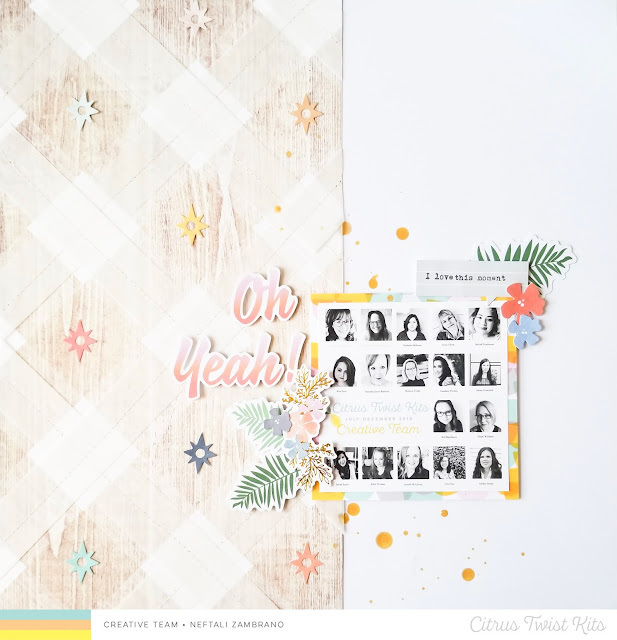 It is Neftali back today to share a fun 12x12 layout that I created as a celebratory moment for making it onto this amazing team. I can’t thank my lucky starts enough! 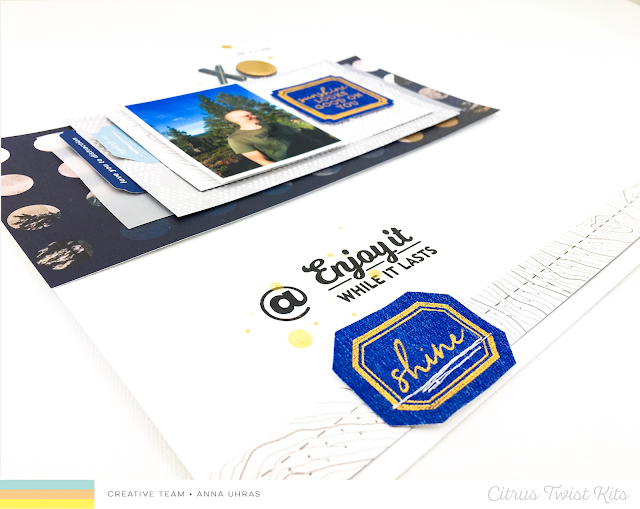 So, for the layout I used elements that stood out to me and I used a really clever technique to use the vellum sheet that’s included in the Main Kit. Do you see what I did here? I cut the wood grained checkered paper a bit over halfway and pasted that down on my page. I think you’re gonna love what I did next! 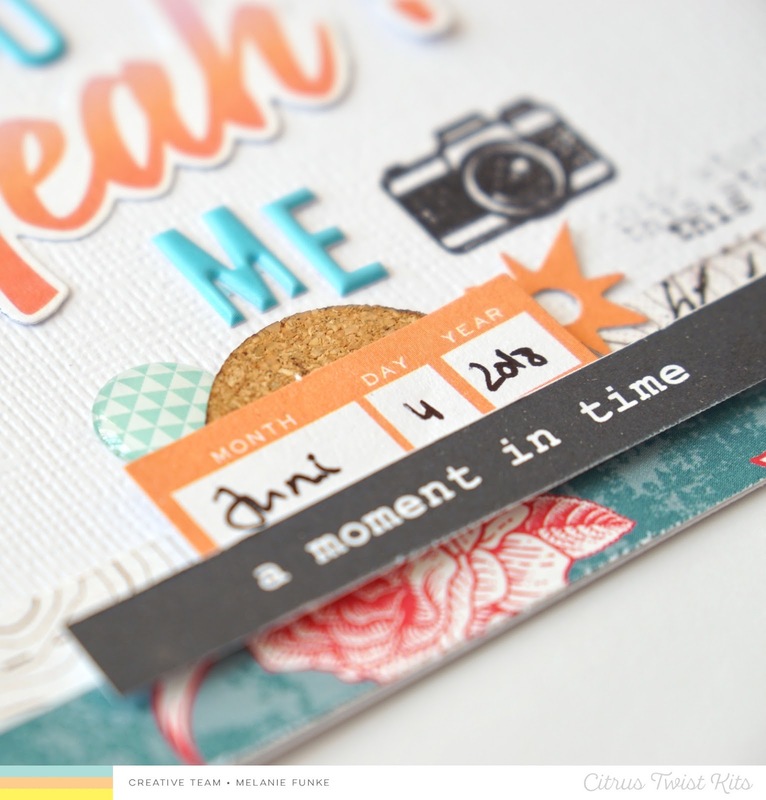 I cut the vellum sheet into 2 inch strips and added them to add some super awesome dimension to that sheet. The sheerness of the vellum makes it very subtle but I just LOVE the effect it created on this simple wood grain paper. I then brought out our super cute DT photo and embellished that with an exclusive paper from the Skyland Project Life Kit and exclusive die cut pieces. 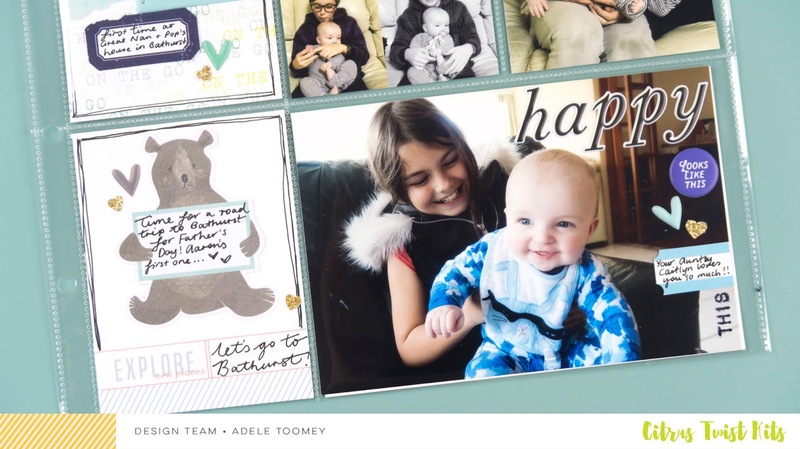 I also used the Story Starter stamp set to add some words to the word bubble above the photo. 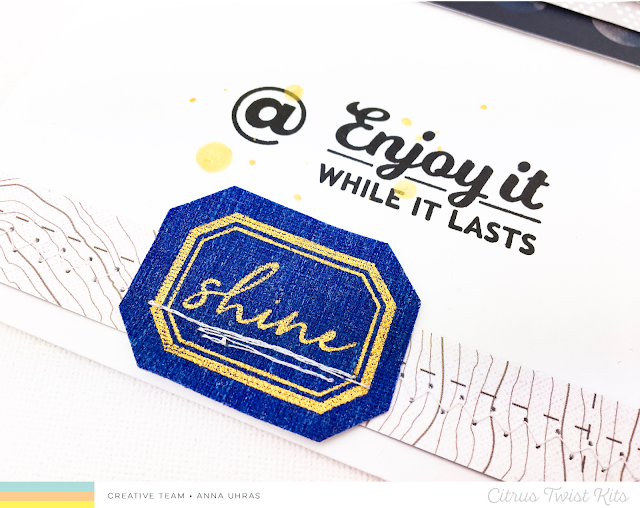 I used the same exclusive ephemera pack to create the perfect title, “Oh Yeah!” Then I used some of the little stars to add to the empty spots on the wood grain paper. This helped bring together all of the colors that I used in the embellishing around my photo. 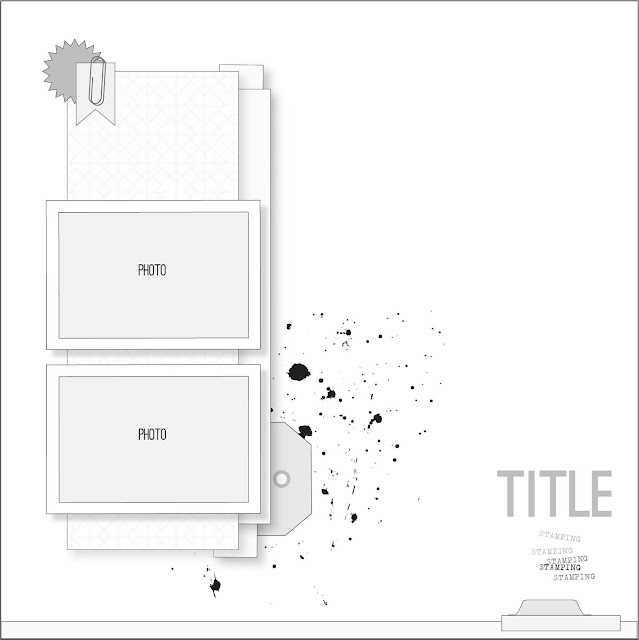 That, friends, is how this layout came together. I love having this truly special documented in my books. 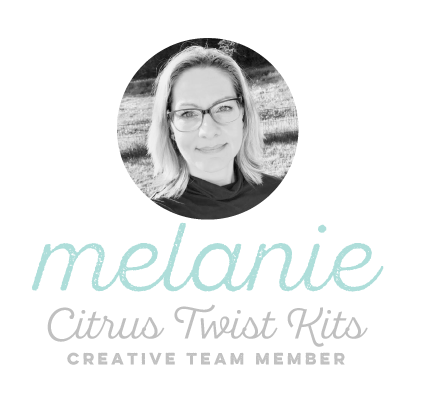 I hope I have inspired you to get crafty and if you haven’t yet figured out how to use the vellum sheet in the Main Kit, why not try today’s technique? Thanks so much for stopping by!